Fangirls, we talk about a lot of applications and games here. I get really into puzzle games, and simple games, but never have I been so vested in a game as I am with Fallout Shelter. 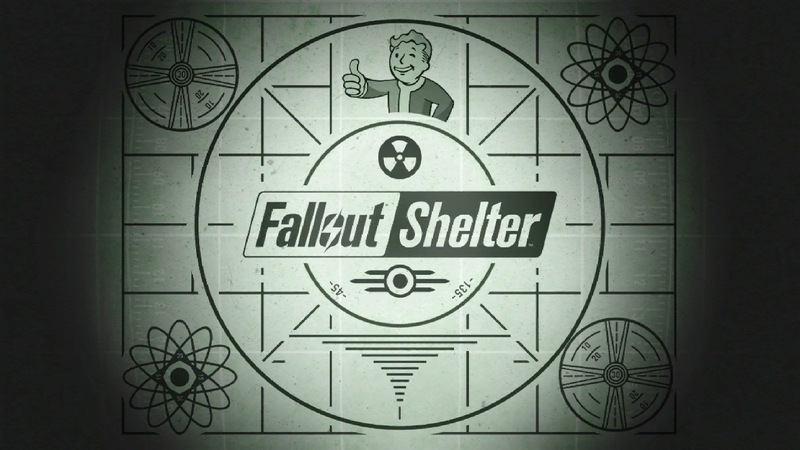 Fallout Shelter is an app from Bethesda games that takes users into a different part of the Fallout game universe; the nuclear shelters. In the game, users must ration resources (power, water, and food) to keep their shelter dwellers alive. Each resource has a different room to be built in the shelter so dwellers can work to keep the shelter running. Along with keeping resources up, users have to remember to make sure there are enough dwellers to run the rooms. There are two ways of gaining dwellers; “dancing’ (and what that leads to), and accepting random people from the Wasteland. When dwellers dance, the female gets pregnant & has a child in three hours. After another three hours, the child matures into a full blown dweller that can work in resource areas. 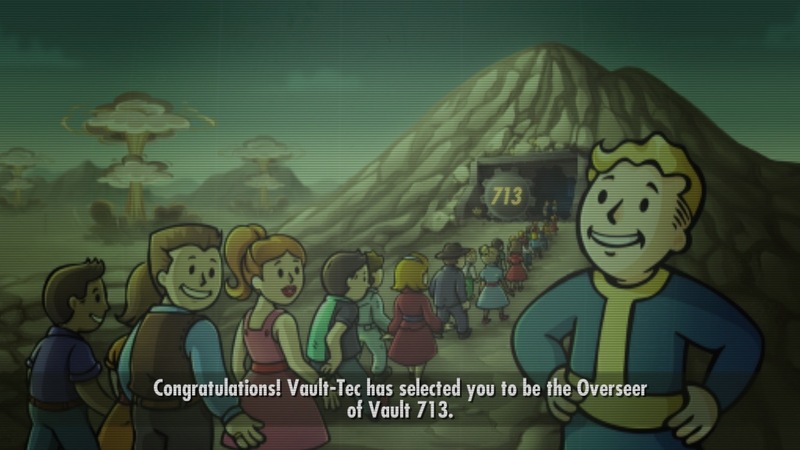 At the start of the game, dwellers showing up from the Wasteland is pretty common, but after a couple days, that slows down. Building a radio station can be helpful at this point; not only does it improve the happiness of dwellers in the shelter, but it lets outside people know there is a shelter. 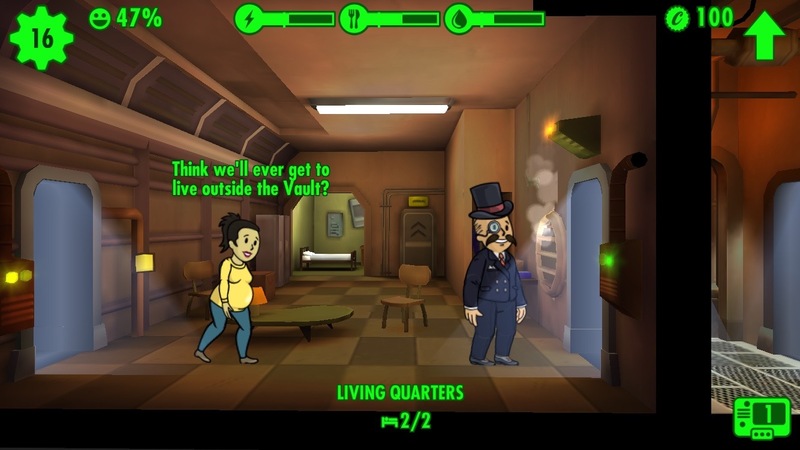 There are resource rooms to build, but there are also rooms that increase the “SPECIAL” of your dwellers. Rooms like the weight room, classroom, and armory help train your dwellers’ strength, intelligence, and perception respectively. This can help a lot, because many dwellers don’t have one thing that they’re great at. Put them in a training room, and in a while, they’ll be ready to improve the speed of resource collecting! That’s pretty much the game. And Fangirls? I’m having issues putting it down. The application itself is free, but there are lunch boxes that help you out a ton that can be bought, and I’ve spent around $10 on those alone; and that’s a problem. After this I think I’m going to delete the app because I have been sinking too much time into collecting resources for tiny digital people, instead of doing appreciating the things I’ve got going on locally. Nope, you’re stuck here forever. The application is beyond fun; I want my dwellers to do well, but their emotional state has been under 10% for almost a week now, and I have issues keeping enough resources in the banks. I feel it would be better for them if I just let them go. If you’re looking for a fun app this summer to kill time; this may be the one for you. Just be aware that it is incredibly addictive, and you’ll never want to stop playing.